The sun is high, hot, and radiant. Summer is here and it's time to cool off in your Intex pool. 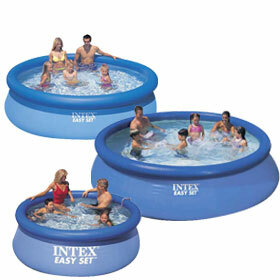 Intex swimming pools offer the industry standard in above ground pool summer fun with a complete line of kiddie pools, Easy Set Pools, and giant Frame Pools to keep the whole family cool during the hottest months. 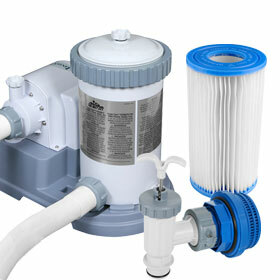 Already have the pool, but need replacement parts? Brands on Sale is the only authorized dealer of Intex brand replacement parts for frames, Intex pump, as well as regular maintenance like filter catriges of all sizes, and accessories so you can buy with confidence. 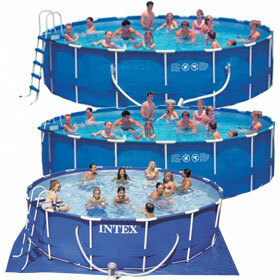 Our trained above-ground pool experts are standing by to assist you with all of your Intex pool brand needs.